2 billion T-shirts are sold each year. 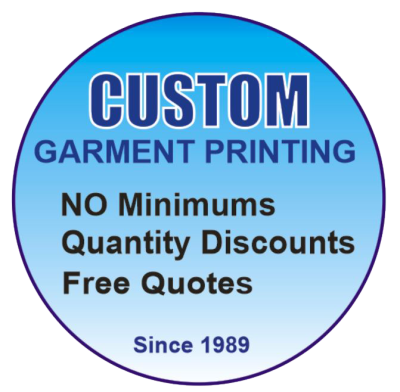 We customize garments in any quantity, at great prices with the fastest service. 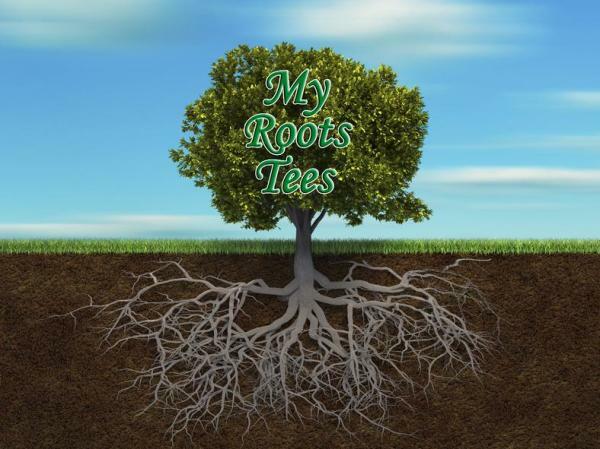 We have 1000's of garment styles, colors and sizes and specialize in custom T-shirts. Our sizes range from youth to adult XS to 6XL and tall sizes to insure we have the product just right for you. You get exactly what you want fast. We don't have fancy software to design your custom logo online. We have knowledgeable staff who will personally help you with your design and provide an art-proof quickly. E-mail us your logo or idea and we will provide you a detailed quote. 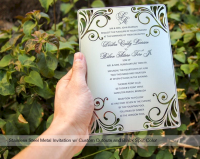 Below are the custom printing methods we use depending on what best fits our customer's needs. 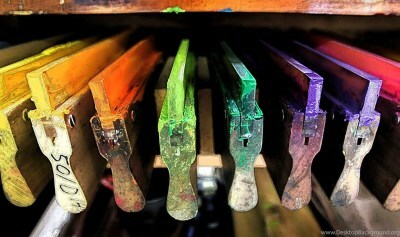 Direct Screen Printing: requires a screen for each color, setups, art separation making this method generally the best value for print jobs in large quantities. Hot Split Transfers: may have setup fees but are generally best for customers who have a specific design they require ongoing but only need a smaller quantites each time they order. Once the HST's are created we have NO minimums. Thermal Film Printing: this is a highly recommended and our most durable printing process for one color and some two color applications. We have NO minimums with no setup fees. Direct to Garment (DTG): This process offers full color (photographic) quality printing in any quantity. All fees that may apply to your job will be outlined in initial quote. Artwork (drawing) Charge |...............................................................First 30 minutes FREE*, $1.00 per minute thereafter. ​Color separation/artwork formatting |........................................... First 30 minutes Free*, $1.00 per minute thereafter. Special Ink change |.........................................................................$7.00 changing print color during same job. Applying print multiple locations on garment |............................*Varies on process and number of colors. Will be quoted. Turn-around time | Most jobs are based on a 7-10 business day** turn-around after artwork is finalized. Embroidery offers a very classy professional additional to any garment. At BrooksActivewear.com we offer affordable solutions to get this highly desired customization at great prices and with NO minimums. 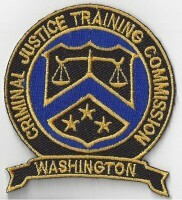 We do embriodery from basic text layouts to more complex logo design, with NO minimums. 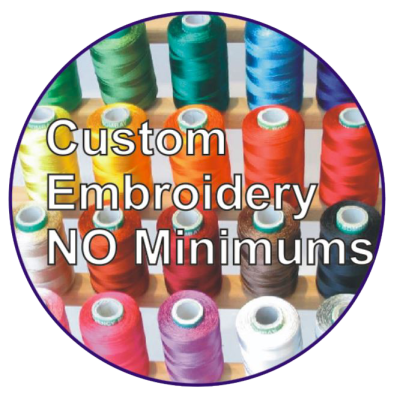 We emphasis our NO minimums service because most embroiders have minimums requirements and this sets us apart from the others. Artwork Charge |.................first 30 minutes FREE, $1.00 per minute thereafter. E-mail us your logo and we will provide a quote based on complexity of logo. 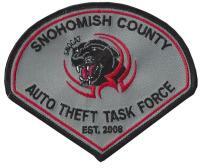 • Custom Logo Digitizing Cost|....... Our one time set-up programing fee is generally $55.00. • Most logo stitchings are $12.00 in a 3.5" x 3.5" size. 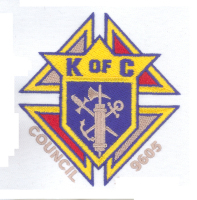 • Color Change |...........$5.00 Thread color change - same logo, same order, different garment. 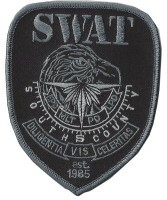 • Custom Patches |........ Any quantity; however best value is 50+ patches, contact us for a quote. • Turn-around time |........ Most jobs are based on a 7-10 business day turn-around after customization is approved. *IMPORTANT: Above prices are based on quantities from 1-6 pieces when customer purchases products from BrooksActivewear.com. Customers providing their own products for customization are subject to increased customization cost. ​We maintain our lower customization costs dependent upon our customer buying our products. We provide quotes when customers provide the product. Embroidery washing instructions here . 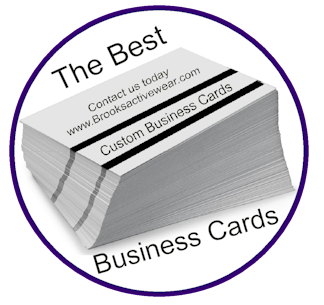 Brooks Products and Service (BPS) (dba BrooksActivewear.com) offers great marketing tools to enhance your business in this everyday competitive market. It is our goal to offer you products and services that will bring you to a level in today's market to surpass your competitors. Experts will tell you, "having the edge" in marketing can make a difference in your success. 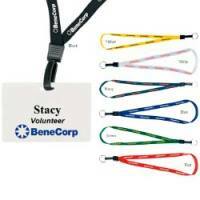 What better way to advertise your company by using inexpensive promotional drinkware, office supplies license plate frames, lanyards, or any of our 1000's of other great items. 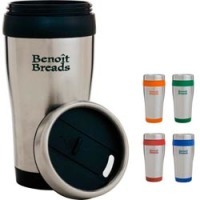 Everytime your customer uses these items they are reminded of your company and likley many others will see them too. 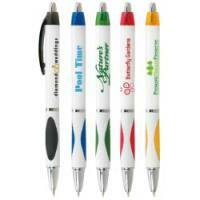 We also provide promotional products for trade shows, conferences or any special event. See some of these products below. Contaact us today with your ideas or questions. 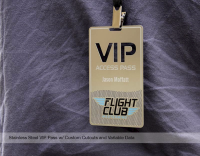 If you're still using computer generated business cards or a low end card services you are missing an opportunity to leave a lasting impression on your customers. We provide amazing quality products at affordable pricing and FREE design services to all our customers. *New logo development is not included in the price of our free card layout offer. Ask for a logo development quote. Art proofs will be provided and must be approved before cards can go to production. 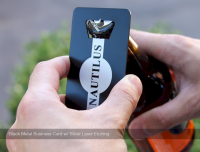 Metal business cards will make your business stand out. 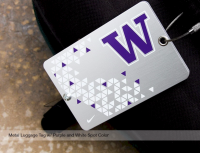 Business cards, dog tags, luggage tags, event passes, invitations, bottle openers, etc. 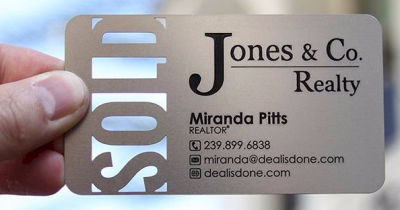 Also, ask us about our Acrylic or Wood Business Cards. *Layout is include; however, depending on complexity of layout a cut/print template may be required (one time fee each design) $75.00. 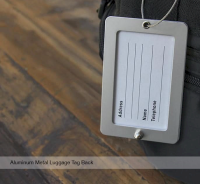 Metal bottle openers, luggage tags, dogtags, invitations etc.